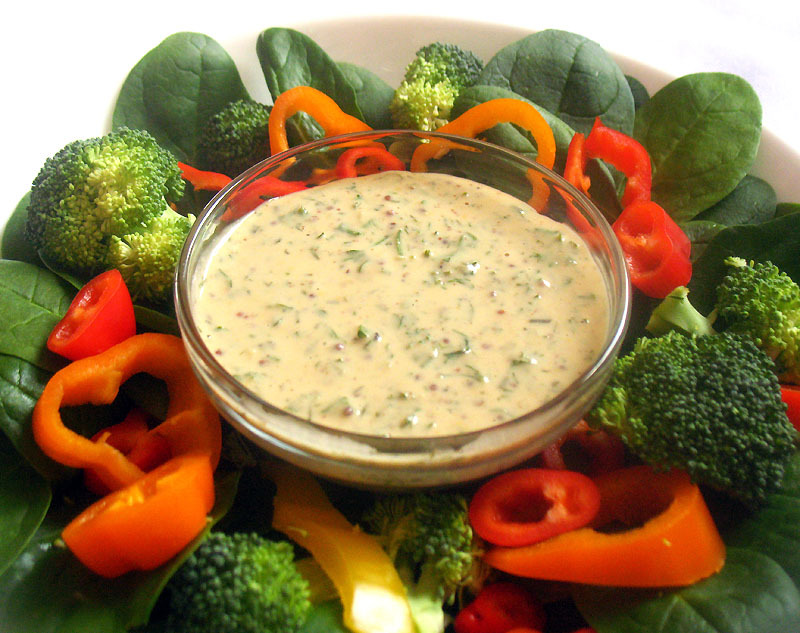 Partial as I am to thicker salad dressings, I generally prefer creamy dressings over vinaigrettes. This creamy tahini dressing with lemon juice and fresh herbs is my latest favorite, and I've made it several times over the past few weeks already. Tahini itself works as a cohesive and creamy base for the stronger elements of the dressing, and so while the tahini is not the most prominent feature of the dressing, its sesame taste comes through and enhances all of the other flavors. 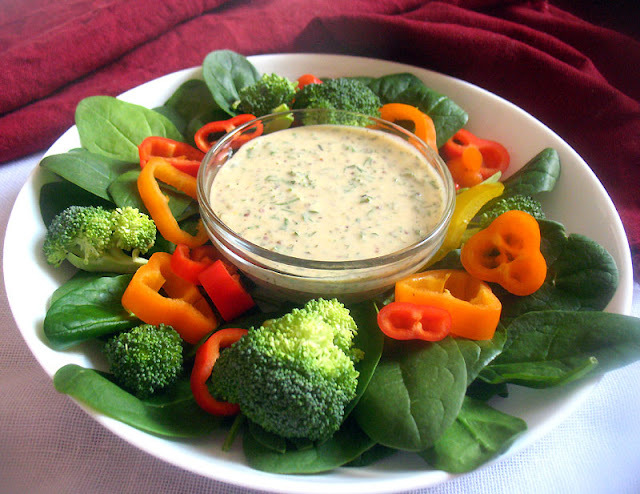 It is a robust dressing that goes well with bold-flavored greens like spinach and kale as well as broccoli and mixed sweet bell peppers. It's thick enough to use as a dip. If you don't have fresh herbs on hand, then use dried herbs instead. I tried this dressing both ways, and it's enjoyable either way. If the dressing it too thick, add more olive oil or lemon juice, depending on how zesty you want the dressing to be. Whisk together all of the ingredients. Taste for consistency and seasoning and adjust as necessary. Store any remaining dressing in the refrigerator in a well sealed glass container for up to a week.